David Overfelt, president of the Missouri Retailers Association, said local businesses are hurt by an uneven playing field. Missouri was one of 44 states that helped form the Streamlined Sales and Use Tax Agreement, which minimized costs and administrative burdens on retailers who operate in multiple states, making it easier for them to pay sales taxes in each state. That agreement also encourages remote sellers to collect taxes on purchases online or by mail. But Missouri has not passed corresponding legislation; a bill was introduced into the General Assembly last year but failed to pass. The governing board of the Streamlined Sales Tax group notes that a U.S. Supreme Court ruling in the 1992 case Quill v. North Dakota gives Congress the power to level the playing field for local merchants under the Commerce Clause. The group said that 1,400 retailers have voluntarily collected more than $700 million in sales taxes in states that have passed the streamlined legislation, but that states could be missing out on more than $23 billion in uncollected sales tax from businesses that aren’t participating. Amy Blouin, executive director of the Missouri Budget Project, said the growth in remote sales could put extra burden on state and local government services, which rely heavily on sales tax collections for their budgets. The U.S. Census Bureau said online sales represented 5.2 percent of total retail sales last quarter, a percentage that continues to creep up. Blouin advocates passing streamlining legislation in the state. “Taking the steps to modernize the state’s sales tax structure is critical to ensure that Missouri prevents further loss of state and local tax revenue,” she said. Missouri’s general revenue sales tax rate is 3 percent and funds about a quarter, or nearly $2 billion, of the general budget. An additional 1.225 percent rate is earmarked to fund K-12 schools, parks and conservations efforts. Local sales taxes vary greatly across the state, making the overall sales tax rate under 6 percent in some jurisdictions and greater than 10 percent in others. 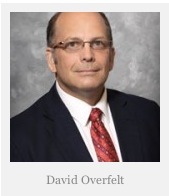 Overfelt said he’s heard rumblings that if Missouri could collect online sales taxes there might be interest in reducing the state’s overall rate. “We certainly wouldn’t be opposed to that,” he said. There’s been pushback from some online merchants on the Internet sales tax issue. Top online auction house eBay, where tens (if not hundreds) of thousands of small merchants make a living selling their wares, released a video post-election arguing against requiring its users to pay sales taxes except to customers they serve within their own states. Brian Bieron, eBay’s senior director of U.S. government relations, said requiring users to collect and file sales taxes in 50 states would be onerous. “We think for a small business that’s an especially negative change and we oppose that change,” Bieron said. Contact Johnny Kampis at johnny@missouriwatchdog.org. For more Missouri Watchdog updates, visit Facebook and Twitter, or sign up for a free newsletter.